When selling your home the first impression is a lasting impression. Sometimes, a second chance will never happen. This checklist is designed to help you identify areas that with little expense, and just a bit of elbow grease, you can enhance the appeal of your home to more buyers. Take a good hard, objective look at your home from the road as you drive up to your house. What do you see? Garbage cans at the side of the house? Oil stains in the driveway? Vegetation gone wild? Do you have deteriorated paint? These are just some of the things that your buyer sees as they drive up! Even though these items may seem trivial, it can influence how long a buyer may give to looking your house over. 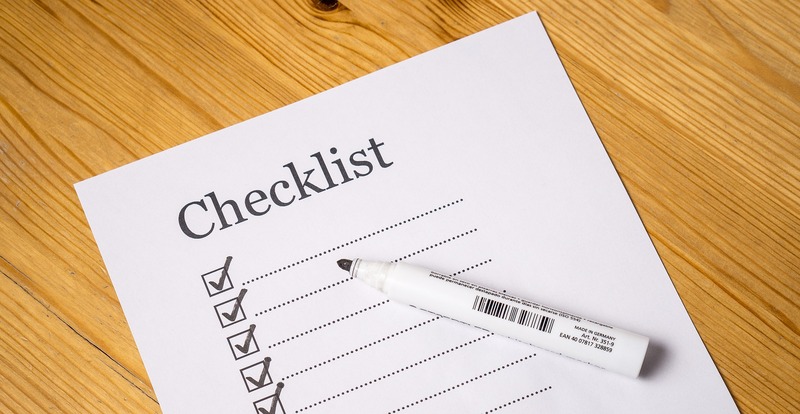 The following checklist is comprised of items that you can do to help yourself sell your home. Having your home inspected by a Licensed Professional Home Inspector and enrolling into our Seller Advantage Program prior to finding a buyer is essential to having the transaction go more smoothly. An inspection can identify areas that can be detrimental to the sale, that can cause costly negotiation, and slow down the process of closing. ____ Mow the lawn and trim the vegetation. Keep lawn mowed on a regular basis. ____ Clean the driveway and clear all vegetation from the walkway and driveway cracks. ____ Keep your garbage container in the rear of the house or in the garage while the house is listed for sale. Also keep toys and bicycles from the yard. Placing them neatly along the side of the house or out of sight does a lot for first impressions. ____ Make sure your Realtor’s® for sale sign is upright, prominent and in reasonably good condition. If your realtor only has dilapidated signs, get a different realtor! ____ Remove window screens from the front of the house and wash the windows. Store screens neatly until the home is sold. ____ Clean the front door, and frame. Also clean all interior doors and frames. ____ Keep your garage door CLOSED! Cluttered garages make home seem smaller than really are! ____ Dress up the front! A few inexpensive potted flowers can go a long way in saying this is a HOME and not just a house! ____ How does the house smell? Be objective. If the house has unpleasant odors, it will take much longer to sell. A lot of people become oblivious to odors they live with, but to someone else that is not accustomed to these smells, the result could be to flee and find someplace else. Don’t just mask these odors; remove the source until the house sells. If you have pets, keep the pet areas clean. If the house smells of tobacco, a de-odorization may be in order. Most carpet care companies can help in this regard. ____ When showing the house to perspective buyers, pleasant aromas will help sell a home quicker. Studies have shown the smell of fresh baked bread is one of the most pleasing non verbal communications there is. This is not usually practical, but there are scent devices that can be used. DO NOT OVER DO THEM!! Overpowering fragrance or excessive aroma can be almost as detrimental as bad odors. In a pinch, just a little bit of cinnamon on a slice of bread in the oven at low temperature (200 degrees) can enhance the feeling of the home surrounding. ____ Keep the kitchen clean and free of clutter. This makes the kitchen seem smaller than it really is. Houses with small appearing kitchens scream at the potential buyer that a lack of cabinet space may be a problem. ____ Keep bathrooms free from clutter also. Keep commodes and sinks clean, including the base of the bowl? If you have children, keep the tub toys stored neatly. Remove any rust stains from tubs and sinks. ____ Clean and dust the window sills. Keep blinds open and raised. Make the home bright and cheery as possible. Not too many people respond well to gloomy or dingy feelings. ____ Dust everything! Especially light fixtures, fans and fireplace mantels. Clean fireplaces of ash. A few logs or candles placed neatly in the fireplace will have an aesthetic value. ____ Keep furniture tidy, make beds, and keep dirty laundry in a closed hamper. ____ Clean and straighten closets. Consider putting out of season clothing into storage to make closets appear roomier. When doing the housekeeping, do not overlook the closets. These few small steps have helped many home sellers find buyers quicker than sellers who don’t do anything. Also, enrolling your home into the All Pro Home Inspection Seller Advantage Program, before prospective buyers look at your home, can help you identify some of the areas that need attention, as well as, eliminate and identify potential “deal-breaking” conditions that may arise as a result of a home inspection. Having this type of inspection can save you hundreds, and maybe even thousands of dollars in re-negotiation. Don’t blow your chance in selling your home when you have a buyer interested in it. Use all the tools at your disposal to accomplish your goal of selling your home.